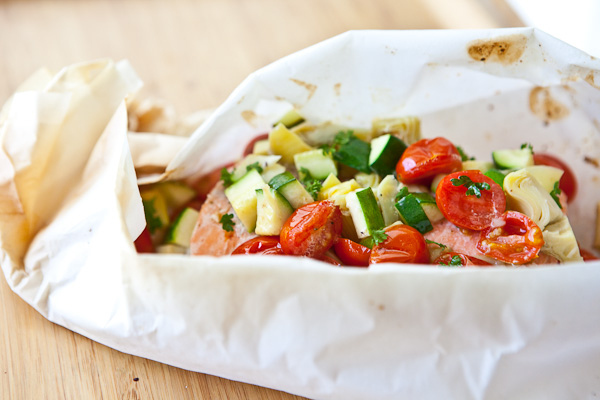 Wrap it inside parchment paper with some other ingredients and it cooks itself. Here’s how to do it. 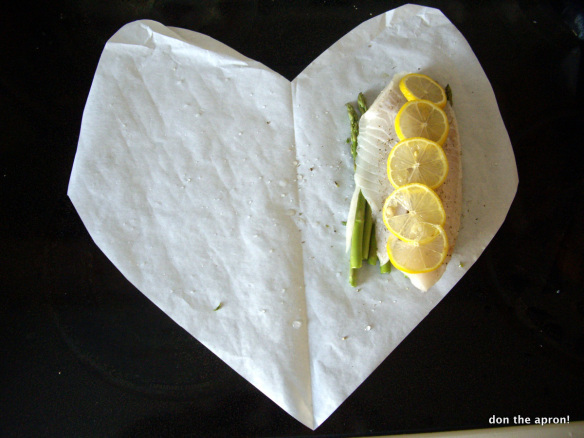 You can find parchment paper in any grocery store next to the foil and plastic wrap. First, prep ingredients all ingredients that you want to put into the packet. 1. Only one fish portion per package — think about 6 ounces. 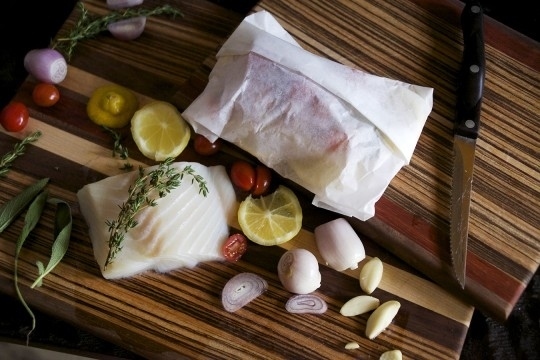 Any kind of fish will work, but use skinless fillets if you can, because the fish skin will get soggy when steamed. 2. 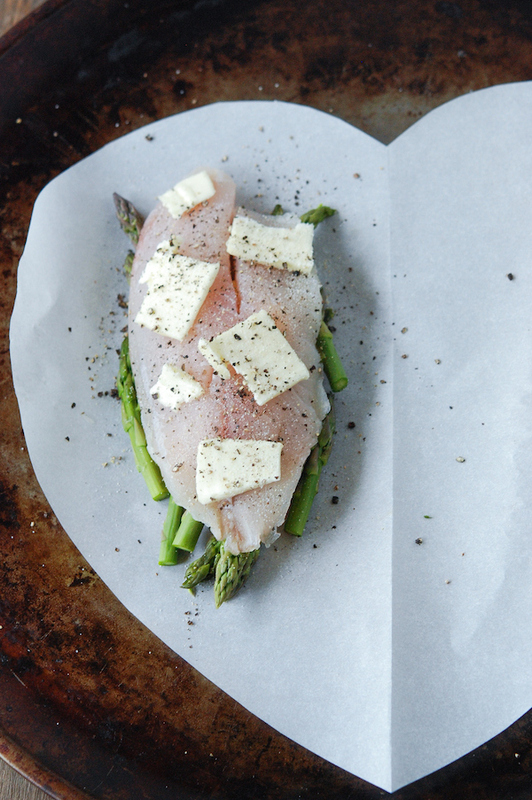 On top of the fish, you can pile herbs, vegetables, citrus, garlic, and of course butter never hurts. Just don’t put anything inside your parcel that won’t cook in 15 minutes. 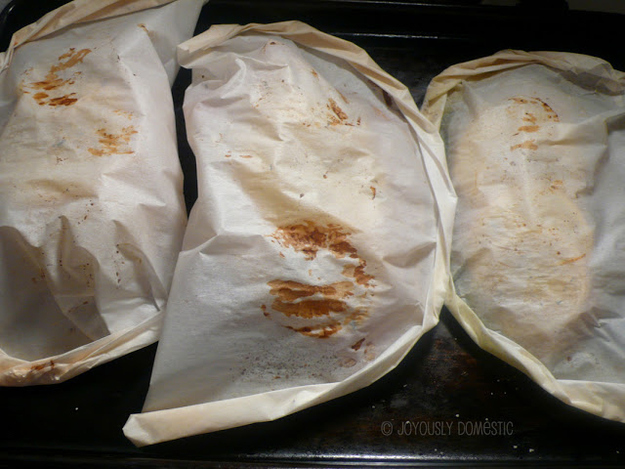 If you insist on doing so (like, say, you REALLY love potatoes), cook them almost all the way through BEFOREHAND, then finish them in the parchment with your fish. And use common sense — if you want to include carrots, they should be cut into matchsticks so they cook very quickly. 3. After that, you’ll need a couple spoonfuls of some kind of liquid to steam the fish. You can use water, but using wine, soy sauce, citrus juice, or something else with a strong flavor will make your fish especially delicious. 4. Never underestimate the power of salt and pepper. I guess the heart shape isn’t 100% necessary, but it will make each parcel easier to seal. You’ll see. Oil or whatever liquid should go in last, so that it doesn’t have time to run all over the place. It doesn’t have to be totally air tight, but the parcel shouldn’t come apart when you pick it up. 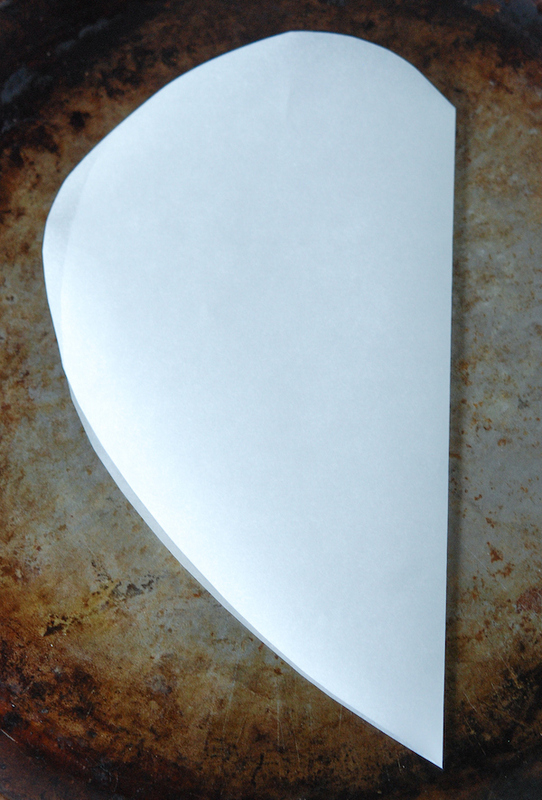 A 6-ounce fillet will take about 15 minutes to cook through, but you can’t test doneness because you don’t want to open the parchment during cooking. 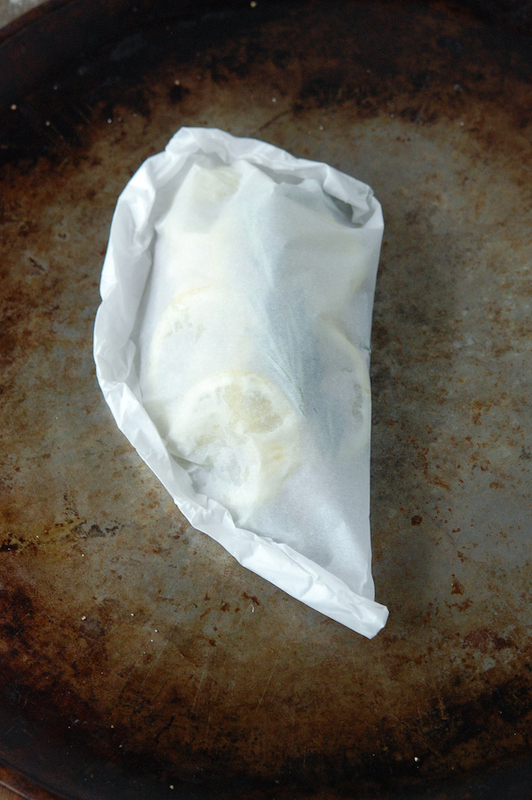 When in doubt, leave the fish in for a few extra minutes; all the moisture in the steaming parcel will keep it from overcooking and drying out.